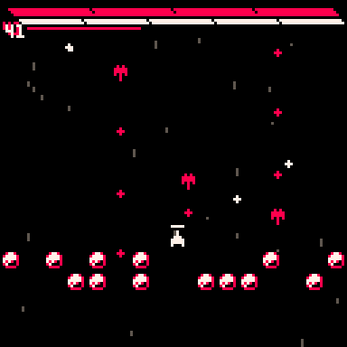 This was made in PICO-8 for the Game Maker's Toolkit Jam, and its the Jam version. Here is the post-jam version. As the theme was Downwell's Dual Purpose design, I couldn't resist emulating Downwell's style. Play in Chrome or Firefox for the best experience. Please don't use Internet explorer or Edge! PICO-8 doesn't play well with IE or Edge (No audio, ugly pixels and keypresses being a mess)! The twist to this space shooter is that you reflect shots using a mirror shield, and that you have limited ammo so you can't shoot as you like. 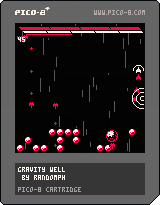 You recharge your ammo by getting hit by a bullet, and your health regenerates slowly over time. Enemies drop credits which can be used to purchase upgrades by travelling through the Gravity Well. Note: it does not have an end at the moment! Hi! The game is really fun and I abosultely love the concept! Only thing is that the are super concentrated in the earlier levels, and it makes it perilous since there isn't as much room for error. Only real critique. P.S. Found a glitch where the "game over" text collides with the "warping in ---" text if you die during that sequence. It also still count downs, even into the negatives. Great gameplay and idea! It's also incredibly addictive. Balancing when to take hits and when to heal and attack is interesting. 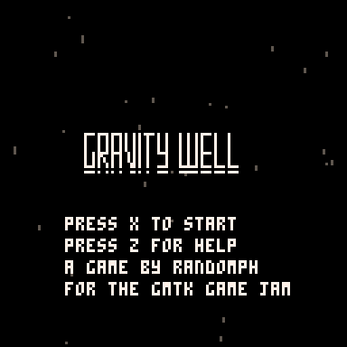 Random start weapon mixes things up too, but might diminish the value of purchase options at gravity well a little, if you start with a "good" one. 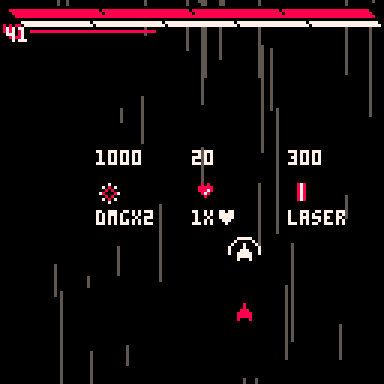 Every once in a while, I stumble onto a game that fits perfectly with Pico-8, but that I wish I could play on Steam/PS4. This is one of those. Would be great to see it expanded/ported, but glad I got a chance to play it. Well done! Love it. Do you mind if we borrow some ideas for our project?